It was a busy Sunday consisting of working at Nordstrom and traveling to Best Buy to find a nice, new HDTV, so I did not have much time to prepare an elaborate grilled cheese. 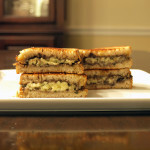 (I had hoped to create Macheesomo.com‘s Tapenade Grilled Cheese but that will have to wait, hopefully only until this coming Sunday.) I thought, why not head to Whole Foods and search through their cheese section, finding a perfect cheese to match up with rye bread waiting for me at home? Perfect idea, I said to myself. And so I searched…and searched. And found Fresco Asiago. A fresh, sweet and mildly buttery cow’s milk cheese from Asiago. Asiago originated in the village of Asiago in northern Veneto, where it has been made for centuries. 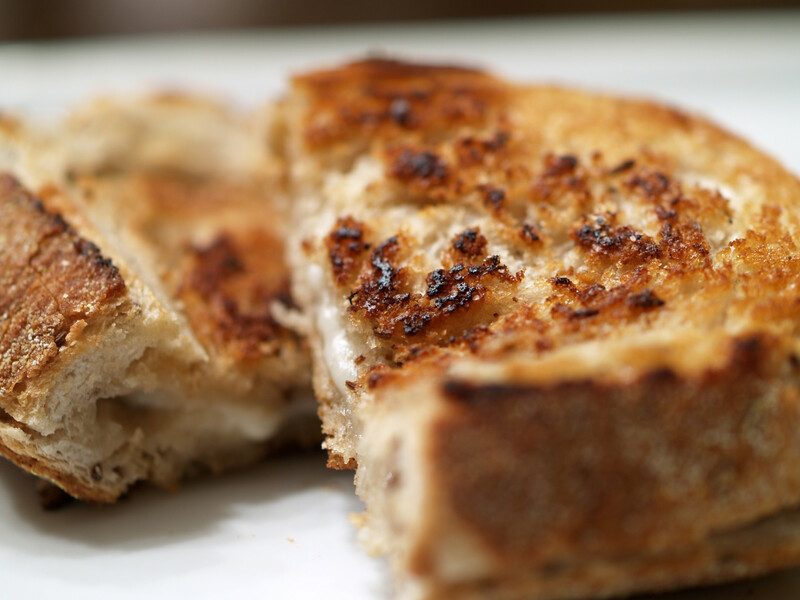 Although it was originally made with sheep’s milk, but it is now made with cow’s milk. fresco means “fresh” or “young,” which means this Asiago has been aged for only a few weeks (as opposed to aged asiago’s six to seven months). 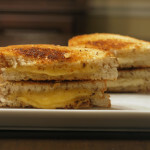 I wanted to make a simple grilled cheese on Sunday so I focused on a cheese I have not used often, Asiago. I found this version at Whole Foods, with the description specifically mentioning that it is good for melting. Once I saw that, I knew it was perfect for a grilled cheese. The cheese itself was delicious, with a soft, creamy and buttery texture. It even has a great smell. Asiago is one of my favorite cheeses, but that list is continuing to grow. 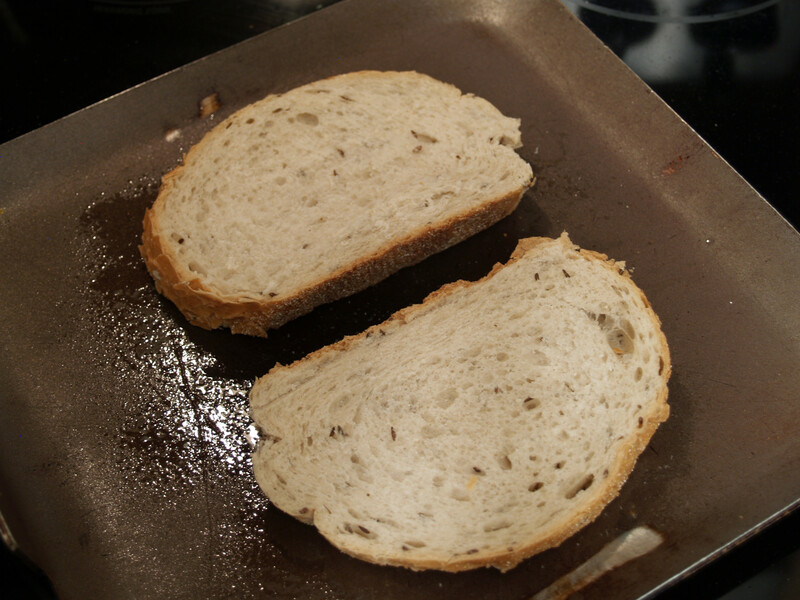 This was the rye bread waiting for me at home. 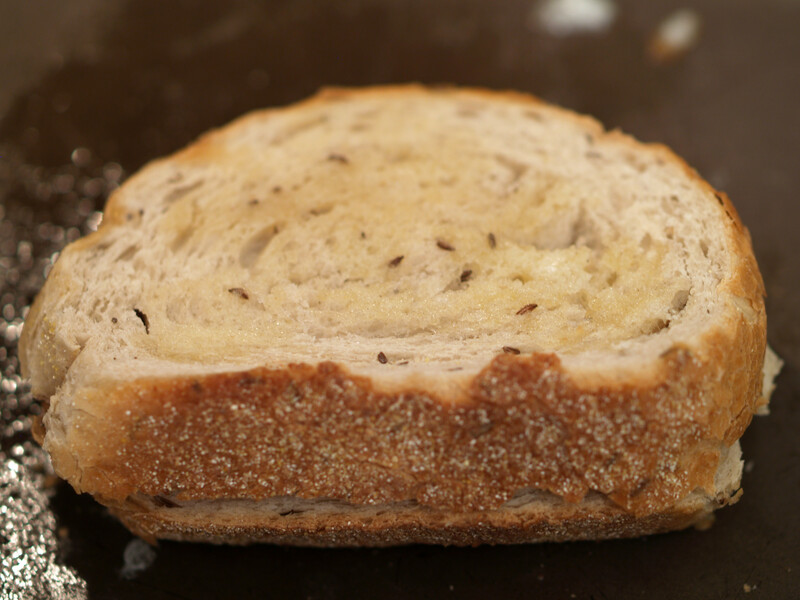 It was purchased fresh from our local market, which I believe cooks some of the best rye bread around. I can’t explain why, it is just fantastic. If you are every in the area (Ha! ), make sure to stop by. 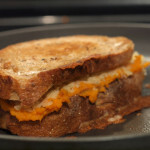 As compared to other grilled cheese sandwiches, the preparation of this sandwich was very minimal and easy. It was a nice change of pace but that means less setup and more photos. I ate two versions of this grilled cheese and I am still not sure what I think. The cheese is delicious as well as the rye. I have been munching on both of them independently since Sunday. However, the combined taste has left me unsure. I do not know if the rye was too overwhelming, if the Asiago was too underwhelming or if the tastes melded together perfectly. The grilled cheese definitely was not bad in the least, I am just not sure if it stood out. 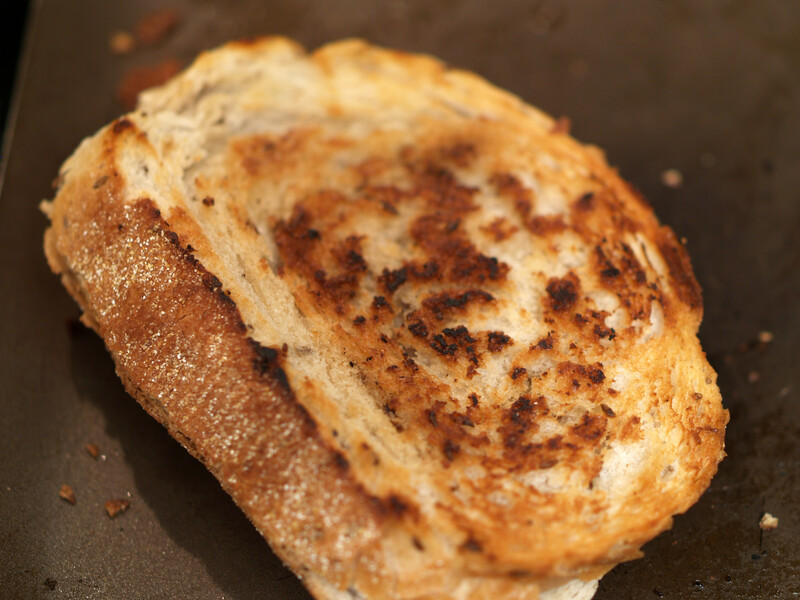 If I was looking for something plain and simple, this is a grilled cheese I would try again. If I was looking for something unique, I would travel down a different path. Combined Fillings: A-/B+. 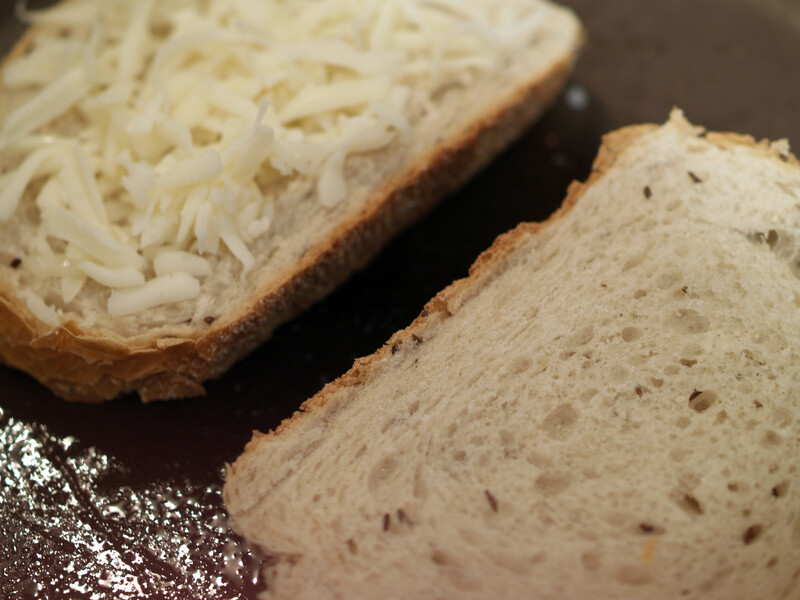 Rye Bread + Asiago Cheese = A conundrum. 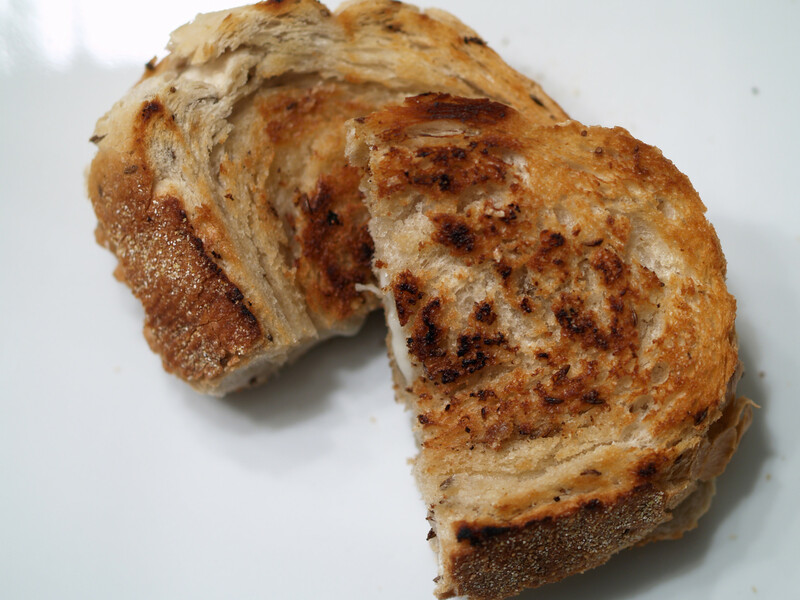 Posted in Grilled Cheese and tagged A Minus B Plus, asiago, grilled, rye.